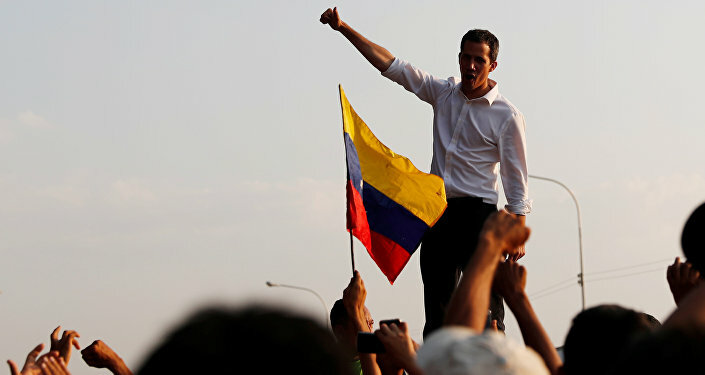 Opposition leader Juan Guaido has received the maximum punishment allowable by law in the Latin American country over a discrepancy in his personal financial disclosures, as well as a spending record that failed to match his level of income, state comptroller Elvis Amoroso explained. The state comptroller Elvis Amoroso has stated that Guaido is to be barred from holding public office for 15 years. Amoroso specified that the reason behind the ban is inconsistencies in his personal financial disclosures and a spending record that does not match his level of income. According to the comptroller, Guaido has made more than 91 trips out of the country spending some 520 million bolivars. — Eugenio G. Martínez (@puzkas) 28 марта 2019 г. The punishment follows a review of Guaido’s declaration of property that was initiated by the Venezuelan Comptroller General’s Office in February. The probe was carried out in connection with suspicions that the opposition leader, who proclaimed himself president of Venezuela in January, had concealed or forged the data contained in it, and also received money from international and national structures without providing any justification. Guaido has reportedly rejected the government’s order stripping him of office. Earlier in March, Venezuelan Communications Minister Jorge Rodriguez lashed out at the opposition for pocketing a billion dollars in government funds held in US banks. In addition to this, Guaido has violated a travel ban imposed on him by the Venezuelan Supreme Court. The opposition leader arrived in neighbouring Colombia on 22 February in order to help forcefully deliver US-sponsored humanitarian aid to Venezuela, in a move that was not authorised by Caracas. On 23 January, Guaido proclaimed himself the interim president. While dozens of countries around the world have followed the US’ example and endorsed Guaido as Venezuela’s interim head, China and Russia, along with many other countries, have voiced their support for Maduro as the country's legitimate president. Mexico and Uruguay, in turn, have declared themselves neutral.